Yesterday's bond market volume was as low as it's been since Monday, March 18th. Then, like now, bonds were on the approach to a big potential market mover, although the March 20th Fed announcement was almost guaranteed to be a big deal whereas today's jobs report merely reserves the right to be. 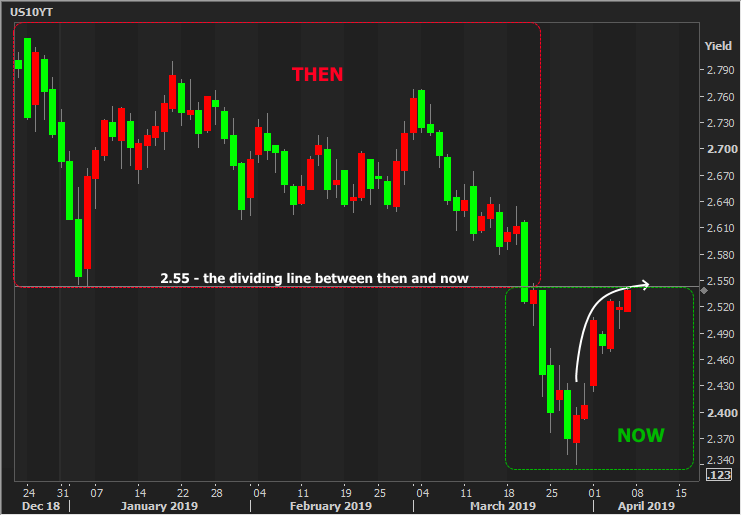 This is the sort of behavior--a decisive return precisely to an obvious technical dividing line--we see when bonds are considering a big move. Naturally, NFP has the best chance of informing the direction of that big move. All we can do now is watch and wait.